Some long-overdue changes are being made to combat the opioid crisis after U.S. life expectancy dropped in 2016 due to opioid overdose-related deaths. More than 42,000 people died from opioids in 2016, according to the U.S. Centers for Disease Control and Prevention. Following much social outcry, President Donald Trump named the opioid crisis a national public emergency in October. And, after the government shut down Thursday, February 8th — yep, it happened again — Trump signed a budget agreement that called for an additional $6 billion in funding to help lessen opioid abuse. The money will go toward law enforcement, education, and treatment for addicts. Now, big pharma is also taking *some* responsibility for its role in the opioid epidemic. 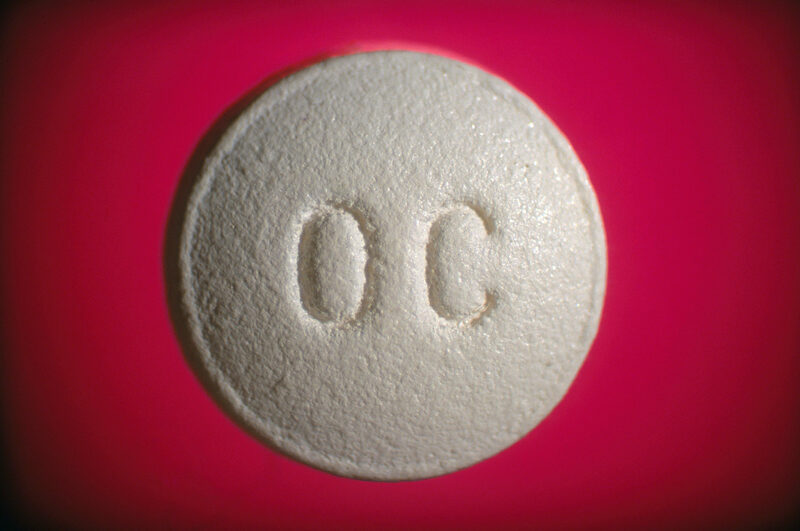 On Saturday, February 11th, OxyContin manufacturer Purdue Pharma announced it had cut its sales force in half, leaving about 200 representatives on staff. What’s more, the drugmaker will no longer promote OxyContin to doctors’ offices. These changes are no doubt related to ongoing backlash against pharmaceutical companies for deceptive marketing of these habit-forming painkillers. At least 14 states have filed lawsuits against Purdue Pharma as a result. Most recently, Alabama Attorney General Steve Marshall joined his state in the legal battle against Purdue. The drug company is also under investigation by the U.S. Attorney’s Office in Connecticut (Purdue Pharma’s home state). However, Purdue continues to deny the allegations. The company claims the U.S. Food and Drug Administration approved its drug, so it must be okay. Further, it says its products only compose 2% of all opioid prescriptions. That said, Purdue executives pleaded guilty to misbranding charges more than 10 years ago. It also reached a settlement with 26 states that same year, paying out $19.5 million in total, according to The Washington Post. Hopefully, now that part of big pharma is going to stop hawking highly addictive opioids, the epidemic will begin to subside. But before that happens, we have lots of addicts to help get better.